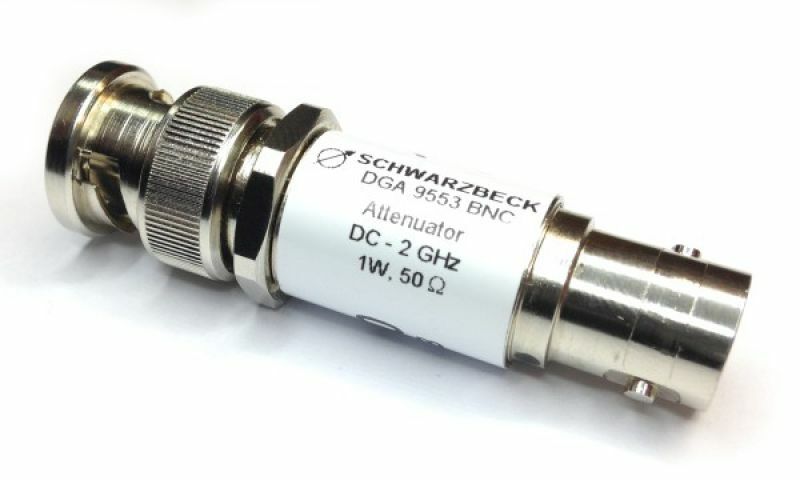 DGA 9552 N is a bidirectional attenuator, i.e. 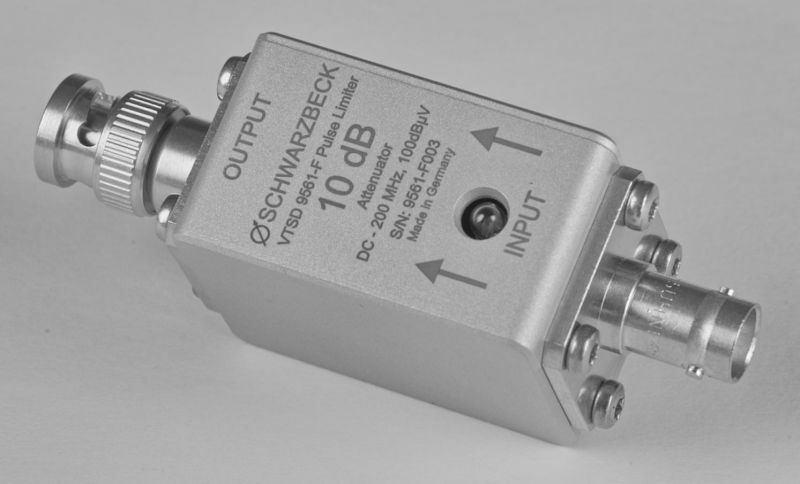 the attenuation and power capability specification is valid for both directions. 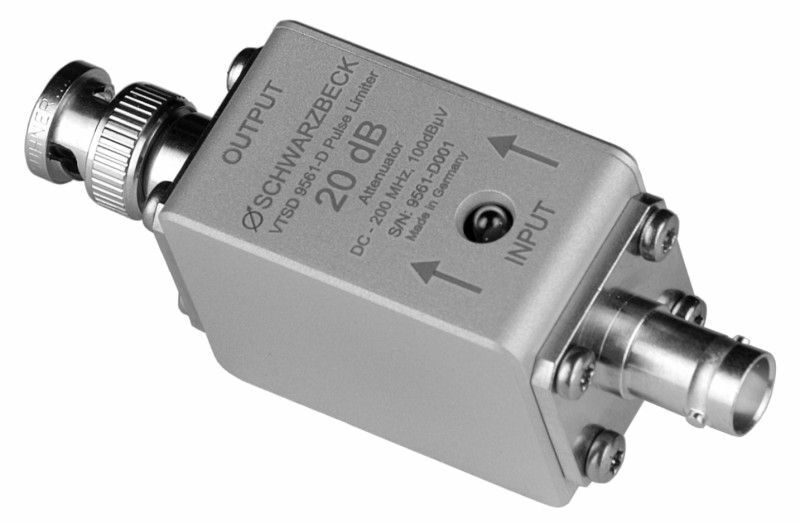 There is a large variety of applications for this attenuator: The measuring range of a spectrum analyzer can be increased. Any kind of meter can be protected against overload; it can be used to control the linearity of a meter reading. It can minimize measurement uncertainty caused by mismatched impedances. During an EMI receiver calibration an attenuator directly at the pulse generator output is inevitable. 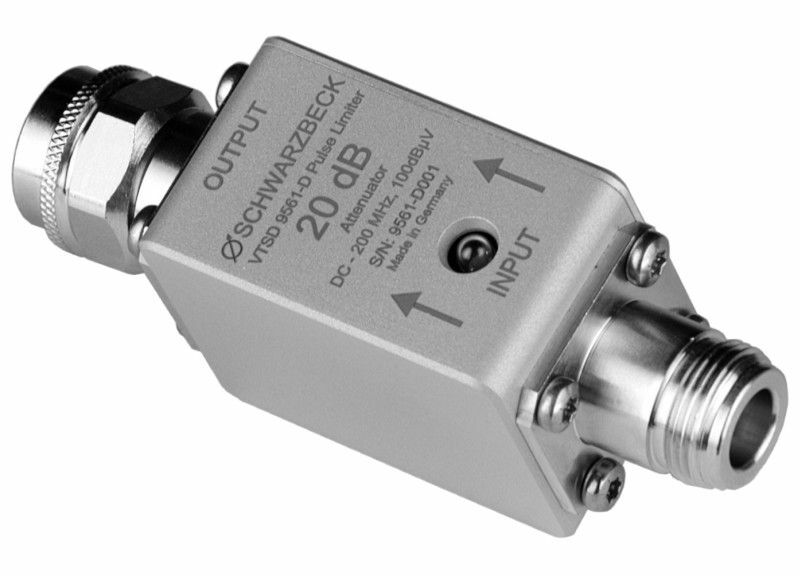 Every DGA 9552 N is delivered with an individual calibration of the attenuation. Calibration data of the VSWR is available on request. 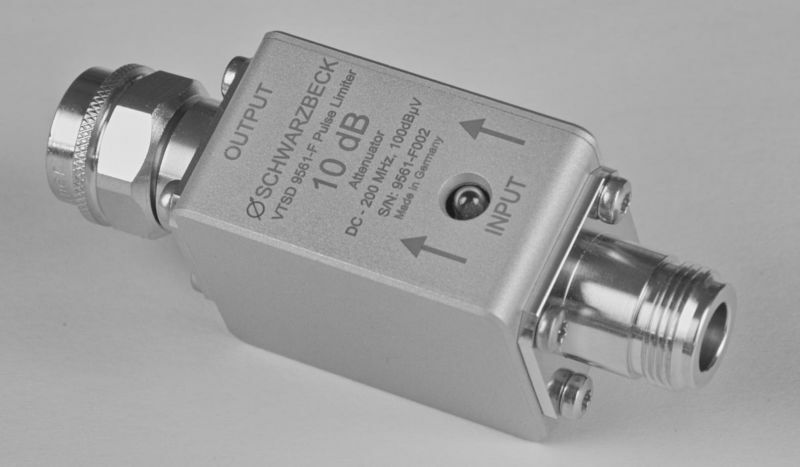 Diode Pulse Limiter with built-in 10 dB high power attenuator and fuse lamp to protect sensitive measuring equipment when measuring spectra with high energy. Thanks to the built-in fuse lamp serious overload situations of sensitive equipment can be recognized fast and reliably. A replacement bulb is placed inside the unit. 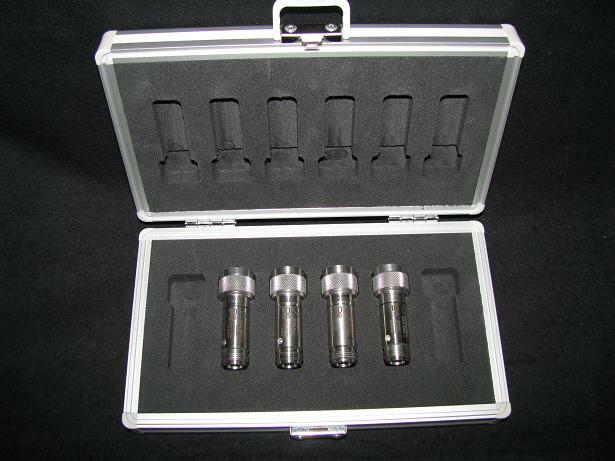 The pulse limiter prevents expensive equipment defects. The very flat frequency response allows high measurement accuracy, even if only a few sample values are used for correction. Bandpass and Limiter for Partial Discharge Measurements. 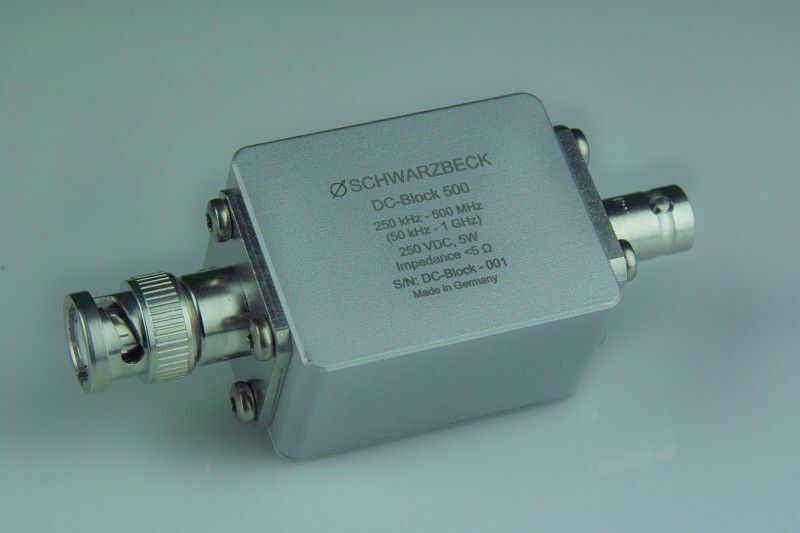 Pass band attenuation: 0.3 dB typ.